The applicants who are willing to apply for NGT Recruitment 2018 they should fill and submit the offline application form in the précised manner on or before 31st August 2018. Entire information such as eligibility criteria, selection process, salary package, apply process, last date, etc. are mentioned on this page. Qualification Details: Aspirants should have attained Bachelors Degree (Law) from a recognized Board / University / Institute. Contestant’s maximum age limits should be Below 56 Years As on 31-08-2018. Candidates who are meeting with the above detailed eligibility parameters they may apply by downloading the application through the official website www.greentribunal.gov.in and send it to following address on or before 31st August 2018. Deadline for Receiving Hard Copy of Application Form Is : 31-08-2018. The applicants who are willing to apply for KIAL Recruitment 2018 they should fill and submit the online application form in the précised manner on or before 10th August 2018. Entire information such as eligibility criteria, selection process, salary package, apply process, last date, etc. are mentioned on this page. Qualification Details: Aspirants should have attained 10th / Diploma / 12th / Graduation Degree / MBA / PGDM / Engineering Degree (Electrical / Electrical & Electronics Engineering / CS / IT / Automobile / Mechanical / Fire) / M.Tech / Diploma (Mechanical / Automobile & other stream) / Master Degree (computer application) / M Com / MBA (Finance) / CA/ICWAI / B.Com. from a recognized Board / University / Institute. Contestant’s maximum age limits should be Below 55 Years (Post 1,3,7,11), 50 Years (2,4-6), 45 Years (Post 8,9,12), 40 Years (Post 10), 62 Years (Post 13), 35 Years (Post 14) As on 30-06-2018. Candidates who are meeting with the above detailed eligibility parameters they may apply online for the application through the official website www.kitcoplacementpark.in and send it to following address on or before 10th August 2018. Dead Line For Apply Online : 10-08-2018. The applicants who are willing to apply for Champdany Municipality Hooghly Recruitment 2018 they should fill and submit the offline application form in the précised manner on or before 3rd August 2018. Entire information such as eligibility criteria, selection process, salary package, apply process, last date, etc. are mentioned on this page. Candidates who are meeting with the above detailed eligibility parameters they may apply by downloading the application through the official website www.champdanymunicipality.org and send it to following address on or before 3rd August 2018. Application Has To Be Sent Latest By : 03-08-2018. The applicants who are willing to apply for AEES Recruitment 2018 they should fill and submit the online application form in the précised manner on or before 10th August 2018. Entire information such as eligibility criteria, selection process, salary package, apply process, last date, etc. are mentioned on this page. Qualification Details: Aspirants should have attained 12th / D.Ed / D.El.Ed / B.El.Ed / CTET / Diploma / Bachelor’s Degree (Music / Fine Arts / Visual Arts) / Diploma (Nursery Teacher Education / Physical Education /Drawing and Painting/ Sculpture/ Graphic Art/ Applied Art / Pre-School Education / Early Childhood Education Programme) / B.Ed. (Nursery) / B.Ed / CTET / D.Lib / B.Lib. from a recognized Board / University / Institute. A non-refundable application fee of Rs. 750/- is needed to be paid by General / OBC Category Candidates. 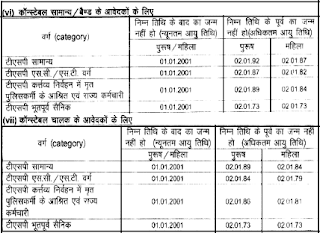 Contenders belonging to the SC / ST / PWD / Ex-S & Other Category : Nil. Contestant’s maximum age limits should be Below 35 Years (1-6), 30 Years (7-9) As on 10-08-2018. The organization shall conduct the Written Exam and Skill Test for the assortment of the applicants. Candidates who are meeting with the above detailed eligibility parameters they may apply online for the application through the official website www.aees.gov.in and send it to following address on or before 10th August 2018. Dead Line To Submit Online Application Is : 10-08-2018. Last Date for the Submission of Application : 20-08-2018. The applicants who are willing to apply for RVUNL Recruitment 2018 they should fill and submit the online application form in the précised manner on or before 31st July 2018. Entire information such as eligibility criteria, selection process, salary package, apply process, last date, etc. are mentioned on this page. Qualification Details: Aspirants should have attained 10th / ITI (NCVT / SCVT) / NAC (Electrician / Lineman / SBA / Wireman / Power Electrician) from a recognized Board / University / Institute. Candidates who are applying should be between 18 to 31 Years As on 01-01-2019. The organization shall conduct the Online Test and Merit List for the assortment of the applicants. Candidates who are meeting with the above detailed eligibility parameters they may apply online for the application through the official website www.energy.rajasthan.gov.in on or before 31st July 2018. Starting Date of Online Registration of Application Form Is : 02-07-2018. Deadline for Submitting Online Application Form Is : 31-07-2018. Click Here For Date Extended Notice. The applicants who are willing to apply for SKIMS Recruitment 2018 they should fill and submit the online application form in the précised manner on or before 10th September 2018. Entire information such as eligibility criteria, selection process, salary package, apply process, last date, etc. are mentioned on this page. Qualification Details: Aspirants should have attained 10th / ITI / 12th (PCB) / B.Sc Nursing / Post Basic Nursing / B.Pharmacy / B.Sc. (Respective Technology) from a recognized Board / University / Institute. Candidates who are meeting with the above detailed eligibility parameters they may apply online for the application through the official website www.skims.ac.in on or before 10th September 2018. Starting Date For Online Application Is : 10-08-2018. Dead Line of Online Application Is : 10-09-2018. The applicants who are willing to apply for Barasat Municipality Recruitment 2018 they should fill and submit the offline application form in the précised manner on or before Within 15 Days. Entire information such as eligibility criteria, selection process, salary package, apply process, last date, etc. are mentioned on this page. Qualification Details: Aspirants should have attained 8th (Driving licence) / 10th / ITI / Diploma (Civil / Mechanical / Surveyor ship) from a recognized Board / University / Institute. A non-refundable application fee of Rs. 100/- is needed to be paid by Unreserved Category Candidates. Candidates who are applying should be between 24 to 40 Years (Post 1,11), 18 to 40 Years (Post 2,3,5-10,12), 20 to 40 Years (Post 4), 25 to 40 Years (Post 13) As on 01-01-2018. The organization shall conduct the Qualification, Written Test, Computer Test and Physical Ability Test, Experience, Interview for the assortment of the applicants. Candidates who are meeting with the above detailed eligibility parameters they may apply by downloading the application through the official website www.barasatmunicipality.org and send it to following address on or before Within 15 Days. Closing Date for Forwarding Filled Application Forms : Within 15 Days. The applicants who are willing to apply for Directorate of Aviation Recruitment 2018 they should fill and submit the offline application form in the précised manner on or before 21st August 2018. Entire information such as eligibility criteria, selection process, salary package, apply process, last date, etc. are mentioned on this page. 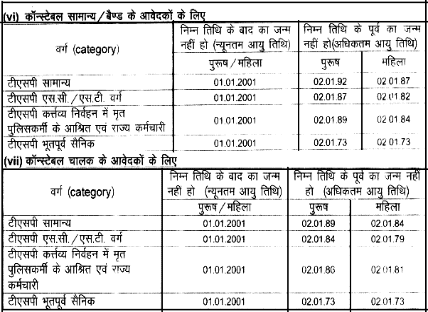 Qualification Details: Aspirants should have attained 12th (PCM) / B.Sc. (Aviation) / Graduation Degree (Computer Application / CS / IT) / holder of flying license / Radio Telephony restricted license/ Aircraft Maintenance Engineering License from a recognized Board / University / Institute. Contestant’s maximum age limits should be Below 21 Years (Post 4). Candidates who are meeting with the above detailed eligibility parameters they may apply by downloading the application through the official website www.mpaviation.nic.in and send it to following address on or before 21st August 2018. The Last date For Acceptance of Application Forms : 21-08-2018. The applicants who are willing to apply for Department of Legal Affairs Recruitment 2018 they should fill and submit the offline application form in the précised manner on or before 20th August 2018. Entire information such as eligibility criteria, selection process, salary package, apply process, last date, etc. are mentioned on this page. Candidates who are applying should be between 35 to 50 Years As on 20-08-2018. Candidates who are meeting with the above detailed eligibility parameters they may apply by downloading the application through the official website www.legalaffairs.gov.in and send it to following address on or before 20th August 2018. The applicants who are willing to apply for District Magistrate Malda Recruitment 2018 they should fill and submit the offline application form in the précised manner on or before 8th August 2018. Entire information such as eligibility criteria, selection process, salary package, apply process, last date, etc. are mentioned on this page. Qualification Details: Aspirants should have attained Graduation Degree (Computer Application) from a recognized Board / University / Institute. The organization shall conduct the Written Exam, Computer Practical Test and Personal Interview for the assortment of the applicants. Candidates who are meeting with the above detailed eligibility parameters they may apply by downloading the application through the official website www.malda.gov.in and send it to following address on or before 8th August 2018. Deadline for Receiving Hard Copy of Application Form Is : 08-08-2018. The applicants who are willing to apply for Ministry of Textiles Recruitment 2018 they should fill and submit the offline application form in the précised manner on or before 7th August 2018. Entire information such as eligibility criteria, selection process, salary package, apply process, last date, etc. are mentioned on this page. Qualification Details: Aspirants should have attained 10th / ITI / Diploma (Textile Weaving / Winding or Warping / Textile Dyeing / Printing / should be a practical weaver) from a recognized Board / University / Institute. The organization shall conduct the Written Exam & Practical Test for the assortment of the applicants. Candidates who are meeting with the above detailed eligibility parameters they may apply by downloading the application through the official website www.handlooms.nic.in and send it to following address on or before 7th August 2018. Deadline for Receiving Hard Copy of Application Form Is : 07-08-2018. The applicants who are willing to apply for Ministry of Textiles Recruitment 2018 they should fill and submit the offline application form in the précised manner on or before 3rd August 2018. Entire information such as eligibility criteria, selection process, salary package, apply process, last date, etc. are mentioned on this page. Qualification Details: Aspirants should have attained B.E. / B. Tech. (IT / CS) / MCA / M.Sc. (CS) / Engineering Degree (Textile / Technology) / MBA / B.E. / B.Tech. or M.E. / M.Tech. (Textile Engineering / Technology) / M. Phil. (Economics/ Statistics) / MBA (International Business) / Post Graduation Degree (Economics / Statistics) from a recognized Board / University / Institute. Contestant’s maximum age limits should be 55 Years (Post 1-3), 45 Years (Post 4-7). Candidates who are meeting with the above detailed eligibility parameters they may apply by downloading the application through the official website www.textilescommittee.nic.in and send it to following address on or before 3rd August 2018. Deadline for Receiving Hard Copy of Application Form Is : 03-08-2018. The applicants who are willing to apply for BMC Recruitment 2018 they should fill and submit the online application form in the précised manner on or before 2nd August 2018. Entire information such as eligibility criteria, selection process, salary package, apply process, last date, etc. are mentioned on this page. Qualification Details: Aspirants should have attained Diploma / B.Sc. (Nursing / Chemistry / Micro Biology / Bio Chemistry) / MBBS / MD / MS from a recognized Board / University / Institute. A non-refundable application fee of Rs. 200/- is needed to be paid by General / OBC Category Candidates. Candidates who are applying should be between 18 to 38 Years. Candidates who are meeting with the above detailed eligibility parameters they may apply online for the application through the official website www.bmcgujarat.com on or before 2nd August 2018. Online Registration Ends On : 02-08-2018. The applicants who are willing to apply for Collector office Vidisha Recruitment 2018 they should fill and submit the online application form in the précised manner on or before 4th August 2018. Entire information such as eligibility criteria, selection process, salary package, apply process, last date, etc. are mentioned on this page. Qualification Details: Aspirants should have attained 12th / CPCT Certificate from a recognized Board / University / Institute. The organization shall conduct the Merit List and CPCT Score Card for the assortment of the applicants. Candidates who are meeting with the above detailed eligibility parameters they may apply online for the application through the official website www.vidisha.nic.in on or before 4th August 2018. Online Application Will Be Received Till : 04-08-2018. The applicants who are willing to apply for Vidhan Sabha Secretariat Recruitment 2018 they should fill and submit the online application form in the précised manner on or before 4th August 2018. Entire information such as eligibility criteria, selection process, salary package, apply process, last date, etc. are mentioned on this page. A non-refundable application fee of Rs. 350/- is needed to be paid by General Category Candidates. A non-refundable application fee of Rs. 250/- is needed to be paid by OBC Category Candidates. Candidates who are applying should be between 18 to 30 Years (For Other State Candidate), 18 to 40 Years (For CG Candidate) As on 01-01-2018. The organization shall conduct the Written Exam and Physical Efficiency Test for the assortment of the applicants. Candidates who are meeting with the above detailed eligibility parameters they may apply online for the application through the official website www.cgvidhansabha.gov.in on or before 4th August 2018. The applicants who are willing to apply for ITI Limited Recruitment 2018 they should fill and submit the online application form in the précised manner on or before 31st July 2018. Entire information such as eligibility criteria, selection process, salary package, apply process, last date, etc. are mentioned on this page. Qualification Details: Aspirants should have attained 10th / ITI / Diploma (Engineering in Electronics/ Electronics & Communication / Telecommunication / Electrical & Electronics/ Electrical/ Computer Science with computer operating skill) from a recognized Board / University / Institute. Contestant’s maximum age limits should be 30 Years. The organization shall conduct the Group Discussion / Skill Test for the assortment of the applicants. Candidates who are meeting with the above detailed eligibility parameters they may apply online for the application through the official website www.itiltd-india.com on or before 31st July 2018. Last Date To Apply Online Is : 31-07-2018. The applicants who are willing to apply for DGVCL Recruitment 2018 they should fill and submit the online application form in the précised manner on or before 9th August 2018. Entire information such as eligibility criteria, selection process, salary package, apply process, last date, etc. are mentioned on this page. Qualification Details: Aspirants should have attained Graduation Degree / B.E. (Civil)/ B.Tech. (Civil) / (IT / Computer) from a recognized Board / University / Institute. Contestant’s maximum age limits should be 30 Years (Post 1), 35 Years (Post 2-4). Candidates who are meeting with the above detailed eligibility parameters they may apply online for the application through the official website www.dgvcl.com on or before 9th August 2018. Online Registration Starts From : 20-07-2018. Online Registration Ends On : 09-08-2018. The applicants who are willing to apply for UGVCL Recruitment 2018 they should fill and submit the online application form in the précised manner on or before 10th August 2018. Entire information such as eligibility criteria, selection process, salary package, apply process, last date, etc. are mentioned on this page. Qualification Details: Aspirants should have attained Graduation Degree / B.E. (Electrical) / B.Tech. (Electrical / Civil) from a recognized Board / University / Institute. Contestant’s maximum age limits should be Below 35 Years (Post 1,2), 30 Years (Post 3). Candidates who are meeting with the above detailed eligibility parameters they may apply online for the application through the official website www.ugvcl.com on or before 10th August 2018. Starting Date of Online Submission of Application Form Is : 21-07-2018. Closing Date For Apply Online : 10-08-2018. The applicants who are willing to apply for UTHM Andaman & Nicobar Recruitment 2018 they should fill and submit the offline application form in the précised manner on or before 6th August 2018. Entire information such as eligibility criteria, selection process, salary package, apply process, last date, etc. are mentioned on this page. Qualification Details: Aspirants should have attained 12th / DCA / B.Com / Diploma (Pharmacy) / Bachelors Degree (Homeopathy / Arts / Science / Social Work / Sociology / psychology) / Master Degree / PG Diploma / Diploma / MD / MBA / M.Sc / DHLS / B.Sc / M.A. / M.Phil. / MBBS Degree from a recognized Board / University / Institute. Candidates who are meeting with the above detailed eligibility parameters they may apply by downloading the application through the official website www.andaman.gov.in and send it to following address on or before 6th August 2018. Closing Date to Submit the Application Form : 06-08-2018. The applicants who are willing to apply for HPSSB Recruitment 2018 they should fill and submit the offline application form in the précised manner on or before 18th August 2018. Entire information such as eligibility criteria, selection process, salary package, apply process, last date, etc. are mentioned on this page. Qualification Details: Aspirants should have attained 10th / ITI (Wireman / Electrician) from a recognized Board / University / Institute. A non-refundable application fee of Rs. 100/- is needed to be paid by Unreserved & Other Category Candidates. Candidates who are applying should be between 18 to 30 Years As on 01-01-2018. Candidates who are meeting with the above detailed eligibility parameters they may apply by downloading the application through the official website www.hpseb.com and send it to following address on or before 18th August 2018. Deadline for Submitting Online Application Form Is (Remote areas / Flung Areas) : 24-08-2018. Closing Date for Forwarding Filled Application Forms : 18-08-2018. The applicants who are willing to apply for NIH Recruitment 2018 they should fill and submit the offline application form in the précised manner on or before within 21 days. Entire information such as eligibility criteria, selection process, salary package, apply process, last date, etc. are mentioned on this page. Qualification Details: Aspirants should have attained M.D. (Hom) / B.Sc. (Nutrition & Dietetics) / PG Diploma (Dietetics) / B.E. / B.Tech. (Civil Engineering) / Post Graduation Degree from a recognized Board / University / Institute. Contestant’s maximum age limits should be Below 35 Years (Post 1, 2), 65 Years (Post 3, 4). Candidates who are meeting with the above detailed eligibility parameters they may apply by downloading the application through the official website www.nih.nic.in and send it to following address on or before within 21 days. Online Registration Would Be Open From : 10-07-2018. Last Date to Submit Filled-In Application : within 21 days. The applicants who are willing to apply for DHE Recruitment 2018 they should fill and submit the offline application form in the précised manner on or before 27th July 2018. Entire information such as eligibility criteria, selection process, salary package, apply process, last date, etc. are mentioned on this page. Contenders belonging to the SC / ST & Other Category : Rs. 400/-. Contestant’s maximum age limits should be Below 38 Years as on 01-07-2018. Candidates who are meeting with the above detailed eligibility parameters they may apply by downloading the application through the official website www.manipureducation.gov.in and send it to following address on or before 27th July 2018. Closing Date for Forwarding Filled Application Forms : 27-07-2018. The applicants who are willing to apply for DHE Recruitment 2018 they should fill and submit the offline application form in the précised manner on or before 14th August 2018. Entire information such as eligibility criteria, selection process, salary package, apply process, last date, etc. are mentioned on this page. Qualification Details: Aspirants should have attained CTET Passed from a recognized Board / University / Institute. Candidates who are meeting with the above detailed eligibility parameters they may apply by downloading the application through the official website www.education.andaman.gov.in and send it to following address on or before 14th August 2018. Last Date to Submit Hard Copy of Application Form Is : 14-08-2018. The applicants who are willing to apply for District Magistrate Dakshin Dinajpur Recruitment 2018 they should fill and submit the online application form in the précised manner on or before 26th July 2018. Entire information such as eligibility criteria, selection process, salary package, apply process, last date, etc. are mentioned on this page. Qualification Details: Aspirants should have attained Graduation Degree / Certificate in Computer Application from a recognized Board / University / Institute. Contestant’s maximum age limits should be Below 40 Years As on 01-01-2018. The organization shall conduct the Written Exam, Practical, Skill Test and Viva Voce Test for the assortment of the applicants. Candidates who are meeting with the above detailed eligibility parameters they may apply online for the application through the official website www.ddinajpur.nic.in on or before 26th July 2018. Starting Date of Online Application Form Filling Is : 16-07-2018. Closing Date of Online Submission of Applications Form Is : 26-07-2018. The applicants who are willing to apply for Rajasthan Police Recruitment 2018 they should fill and submit the online application form in the précised manner on or before 10th August 2018. Entire information such as eligibility criteria, selection process, salary package, apply process, last date, etc. are mentioned on this page. The organization shall conduct the Written Test, Physical Standard Test / Physical Efficiency Test and Skill Test for the assortment of the applicants. Candidates who are meeting with the above detailed eligibility parameters they may apply online for the application through the official website www.police.rajasthan.gov.in on or before 10th August 2018. Online Registration Starts From : 21-07-2018. Deadline for Submitting Online Application Form Is : 10-08-2018. The applicants who are willing to apply for High Court of Meghalaya Recruitment 2018 they should fill and submit the offline application form in the précised manner on or before 26th July 2018. Entire information such as eligibility criteria, selection process, salary package, apply process, last date, etc. are mentioned on this page. Qualification Details: Aspirants should have attained Graduation Degree (Law) from a recognized Board / University / Institute. Candidates who are applying should be between 35 to 48 Years As on 26-07-2018. The organization shall conduct the Written Exam and Viva-Voce Test for the assortment of the applicants. Candidates who are meeting with the above detailed eligibility parameters they may apply by downloading the application through the official website www.meghalayahighcourt.nic.in and send it to following address on or before 26th July 2018. Last Date to Submit Hard Copy of Application Form Is : 26-07-2018. The applicants who are willing to apply for Collector & District Magistrate, Bargarh Recruitment 2018 they should fill and submit the offline application form in the précised manner on or before 10th August 2018. Entire information such as eligibility criteria, selection process, salary package, apply process, last date, etc. are mentioned on this page. Qualification Details: Aspirants should have attained 7th / 10th / Bachelor Degree (Arts / Commerce / Science / Sanskrit) / B.Ed. / M.A. from a recognized Board / University / Institute. Candidates who are applying should be between 21 to 32 Years As on 01-01-2018 (Teacher, Junior Clerk), 18 to 32 Years As on 01-01-2018 (Peon). The organization shall conduct the Computer Proficiency Test and Merit List for the assortment of the applicants. Candidates who are meeting with the above detailed eligibility parameters they may apply by downloading the application through the official website www.bargarh.nic.in and send it to following address on or before 10th August 2018. Last Date to Submit Hard Copy of Application Form Is : 10-08-2018.